These are the other stockings, like I promised. This one is using riding hood red and bermuda bay. new Snowflake embossing folder and swiss dots, both inked with whisper white. 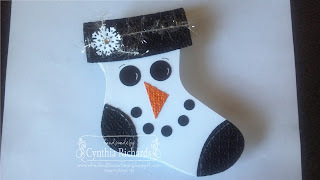 This snowman is for my sister for her handsantizer soap to go in. I used 3/4" and 1/2" circles for the eyes and smile. 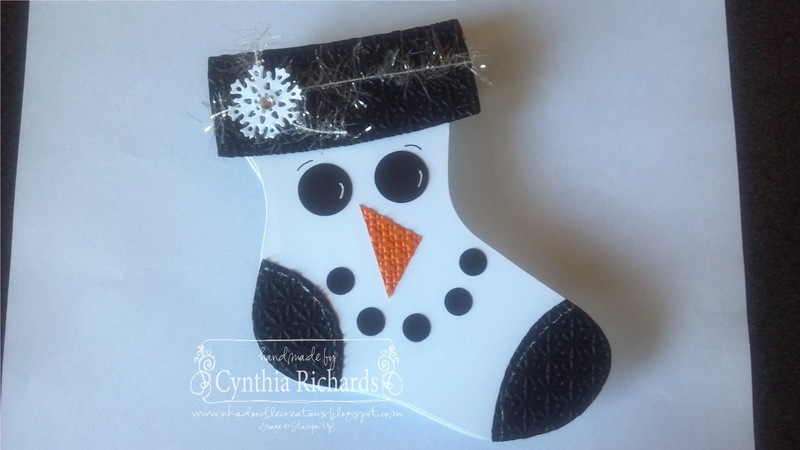 square cut in half for nose in pumpkin pie and the top and stocking pieces are in basic black embossed in the new snowflake folder. The white snowflake on head is from the northern frost bigz die. 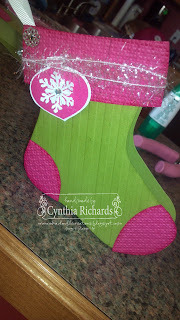 This is another one using "Grinch" colors as I like to call them. Its one of my favorite Christmas movies! 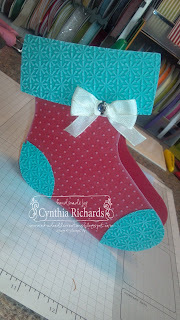 Anyway, back to the stocking...I used lucky limeade and melon mambo for the stocking pieces and the ink for the ornament. The green is embossed with the strips folder and the stocking pieces is embossed with the lattic embossing folder.